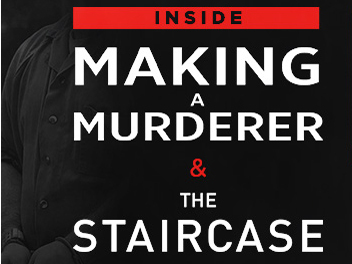 TEG Dainty and Nice Events are excited to announce that attorneys Laura Nirider, Steven Drizin and David Rudolf from the Netflix series' Making a Murderer and The Staircase will bring their popular speaking tour to Australia & New Zealand in 2019. The tour opens up in Sydney on Thursday 21 March and moves on to Melbourne on Saturday 23 March, Perth on Tuesday 26 March, Adelaide on Wednesday 27 March and Auckland on Thursday 28 March before winding up in Brisbane on Friday 29 March. Laura Nirider & Steven Drizin from the Netflix smash docuseries Making A Murderer (lawyers for Brendan Dassey) and David Rudolf from The Staircase (lawyer for Michael Peterson) will join forces for a riveting night of "behind the scenes" insight into how police and prosecutors tipped the scales of justice in their efforts to convict Michael Peterson and Brendan Dassey. Making a Murderer follows the trials of Steven Avery and Brendan Dassey. Stephen Avery served 18 years in prison for the wrongful conviction of sexual assault and attempted murder of Penny Beerntsen. He was again charged in 2005 and convicted in 2007 for the murder of Teresa Halbach. Avery's nephew, Brendan Dassey, was accused and convicted as an accessory in the murder. The discrepancies in the police work and judicial procedures in both cases have caused waves of concern and conversation about the justice system in America.